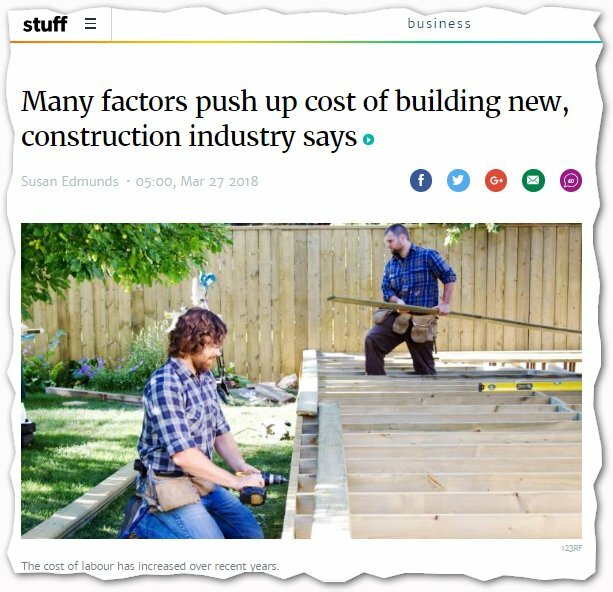 19 November 2018 Stuff’s Susan Edmunds: Many factors push up cost of building new, construction industry says | Sustainable Engineering Ltd.
People who have built a Certified Passive House are often asked how much they cost. The words from the owners ranges from my Certified Passive House cost about the same as any other house in this (nice) neighborhood to 5-12% more. It really depends on how you look at costs and whether you just take the final building and assume you bought cheaper everything rather than the warm healthy and more durable home you did. The word from those in the know in the UK is any architecturally designed home or even a self-built home has more than enough flex in the budget to cover the costs of a well-designed passive house if it is in the design from the start and is a priority. In New Zealand we do stuff that doesn’t make sense. For example every window in a residential house being custom sized. Do the easy bits right and we can afford to build warm healthy durable buildings that are economic to run and build. “Sometimes it’s more expensive to buy New Zealand-grown radiata pine in New Zealand than it is in Australia,” said Robyn Phipps, construction professor at Massey University. “In 2014, Fletcher Buildings came to the attention of the Commerce Commission due to its 94 per cent share of the plasterboard market. Phil Twyford, then Labour’s housing spokesman, said plasterboard was 41 per cent more expensive in New Zealand than Australia and the government needed to do something to tackle the “market monopoly”. Original article located here Stuff.